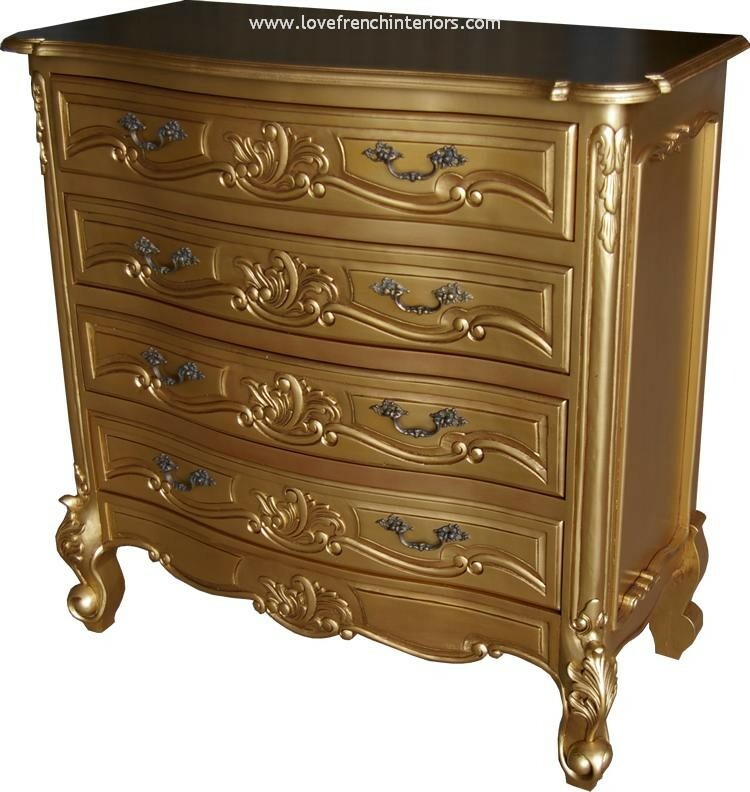 A stunning four drawer Rococo style french chest. 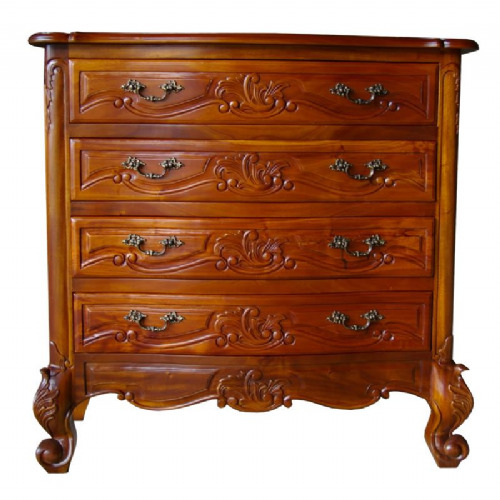 Hand carved from mahogany and hand finished in an antique white with drop handles. 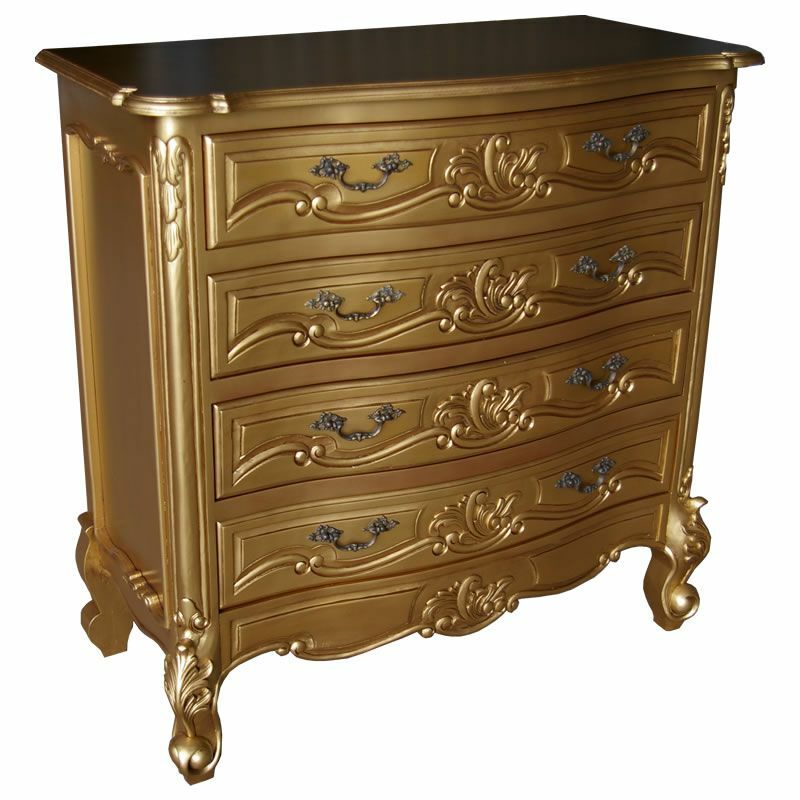 A perfect match to our Rococo bedroom collection. 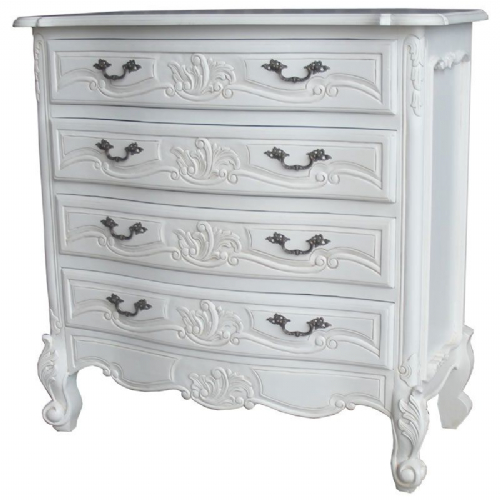 Finishes are available in antique white, antique gold and polished mahogany. Dimensions in cm: H100 x W100 x D50 Drawer size: W76 x D35 x H13cm approx.